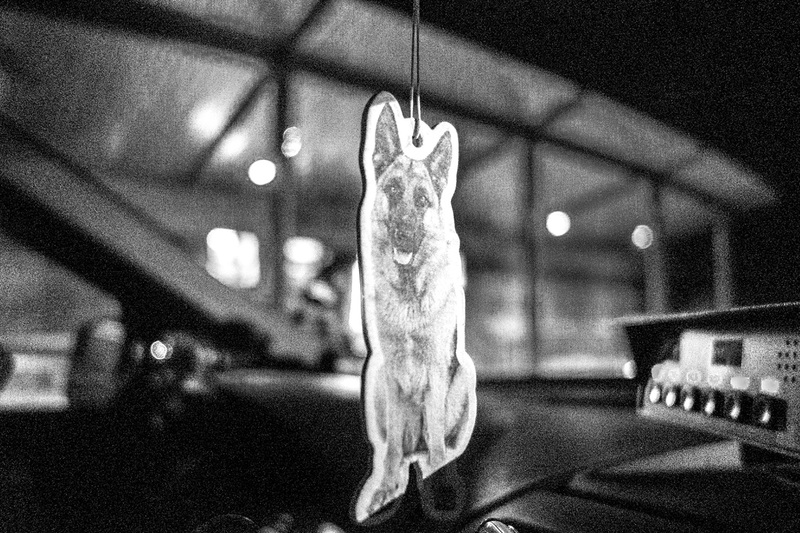 Santa Fe County Sheriff's Deputy Vanessa Barnett has custom air-fresheners made of her K-9 partner, Jackson for the inside of her patrol vehicle. Santa Fe, New Mexico. October, 2015.